The Titan 1 3D printer is equipped with DLP-SLA with PSP technology and is capable of printing at XY resolutions of 37-100μm with minimum mechanical resolution of just 5μm and objects up to 10 inches tall. 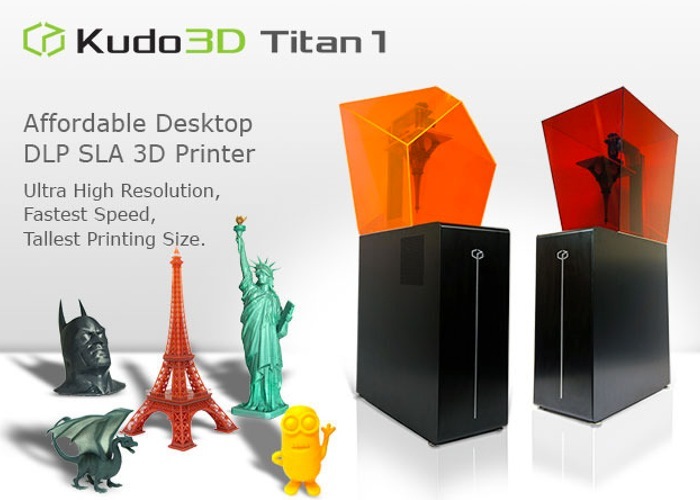 The build volume of the Titan 1 SLA 3D Printer measures 7.5″ L x 4.3″ W x 10.0″ H and the new 3D printer will start shipping in the next 2 to 3 weeks and will be priced at $3,000 per system. “Titan 1 is the most flexible SLA 3D printer with easily adjustable functions to maximize speed or resolution – allowing it to be used for multiple purposes. Some 3D printers focus on resolution but are only able to print small objects. On the other hand, other printers can print larger objects while sacrificing resolution (which are still not as large as what Titan 1’s).